Don’t Lose Hope - A Sedation Dentist in San Marcos Can Help You! 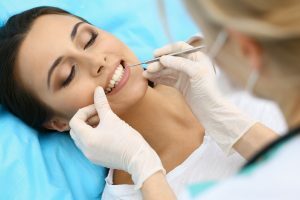 Don’t Lose Hope – A Sedation Dentist in San Marcos Can Help You! Did you know that an estimated 1 out of 5 people suffer from dental phobia, fear or anxiety? With many forms of phobia, such as a fear of spiders or heights, people can simply avoid the things they’re afraid of. But, since a healthy smile is crucial for your overall quality of life, dental work simply can’t be avoided. However, many people are too afraid to get the care they need and their oral health suffers as a result. 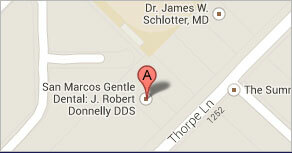 That’s where a sedation dentist in San Marcos comes in. Oral conscious sedation offers fearful patients hope again. It’s an easy, safe and reliable way to get the care you need – minus the anxiety or fear. Find out more below about how this option can help you and learn some simple strategies you can use to manage your fears! How Can You Manage Your Dental Phobia? The first step is to make sure you’ve talked with your dentist about your dental history and given them a background of your phobia. A good dentist will take the time to understand how you feel and assure you that they understand. For many patients, simply feeling heard goes a long way towards making them feel comfortable. Also, once you’ve communicated your needs, you and your dentist can discuss the best way to manage your fears and to make sure you can get the dental care you need as comfortably as possible. Exercise – This doesn’t have to be anything involved. Even just a 20-30 minute walk each day will do wonders for stress management. Breathing – Slowly breathing in for a count of 4 and out for a count of 6 will give you something to focus on and also relax your central nervous system before and during treatment. Music – Bringing in headphones to listen to music or a spoken meditation on your phone is a wonderful way to drown out any noise during your procedure and distract you. Therapy – For some patients, therapy is helpful for overcoming their fears. For many fearful patients, sedation dentistry is a game-changer! One example is conscious oral sedation, which has been safely and effectively used for decades. It involves taking a prescription medication prior to your dental visit that will deeply calm and relax you. Not only will you feel little to no anxiety during your visit, you’ll also have very little recollection or memory of it afterward. The effects typically last around 4-6 hours, so you must have a driver who can drive you to and from your visit. Many patients fall asleep after arriving home and wake up feeling calm and rested – with their dental procedure behind them. With such an effective sedation option, you can rest easy knowing you can get the dental care you need to have a healthy, beautiful smile for life! 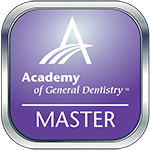 Dr. Robert (Bob) Donnelly is a general and sedation dentist in San Marcos who has set himself apart from his peers with advanced training throughout his career. With decades of experience and a commitment to professional excellence, he’s made patient comfort a top priority in his clinical practice. If you think you might benefit from sedation dentistry and have any additional questions, he can be reached via his website or at (512) 396-5225. Comments Off on Don’t Lose Hope – A Sedation Dentist in San Marcos Can Help You!